I have just updated my PDF Masertpost in both the J2 and SPN categories in Part Two. I will be making two more in the J2 category as well soon. I have updated my PDF library in all three categories which you can find here. Hello all! I wanted to tell you I have updated my PDF Library with two new stories. One in the J2 section and one in the Wincest section. Enjoy! Hello all! Hope you have been doing well. I am thinking about having a PDF request post soon so be prepared with the fics you want! 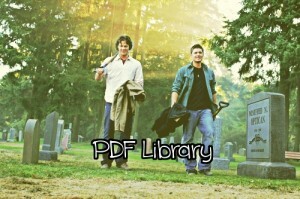 Just wanted to say I updated my PDF Library with two stories in the SPN Gen category and two verses in the J2 category. Just a small post to say I updated my library with new stories in each category. Also my PDF Request Post is still open and running. My PDF masterpost has been updated. Three new stories have been added.